The children of Loretta Anderhalter shared this. 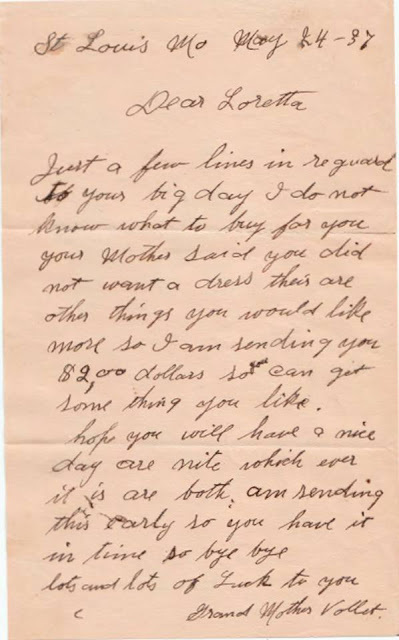 It's a letter from her maternal grandmother when she graduated in 1937. She sent Loretta $2.00. Thanks to Roy Beckemeyer and his sisters for sharing. He can be contacted at royjbeckemeyer@gmail.com.